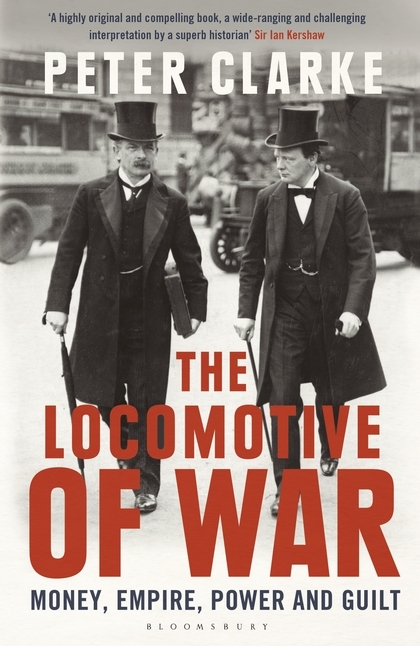 The title of Peter Clarke’s latest book, The Locomotive of War: Money, Empire, Power, and Guilt, is taken from the famous quote attributed to Leon Trotsky, “War is the locomotive of history.” Throughout this enjoyable and interesting book, the author considers the ramifications of the First World War as well as the role of Gladstonian Liberalism in Anglo-American decision-making as related to the conflict. Clarke (Cambridge and author of Mr. Churchill’s Profession) surveys the origins of the war, the financing of the war, and the Treaty of Versailles (including War Guilt, Reparations, and the Hang the Kaiser). He contends that the “moralization” of the origins of the war led to the “moralization” of the peace terms. The leading figures considered in the book are David Lloyd-George, Woodrow Wilson, and John Maynard Keynes, while Winston Churchill plays a more limited role in the study. 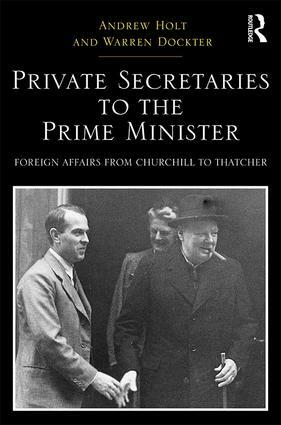 Private Secretaries to the Prime Minister: Foreign Affairs from Churchill to Thatcher edited by Andrew Holt and Warren Dockter is a volume in the Routledge Studies in Modern British History series. In eight chapters the book considers the private secretaries who served the prime ministers from Winston Churchill (1951-55) to Margaret Thatcher’s first years (1979-83). Each chapter provides biographical information on the private secretary under consideration and describes their relationship with the prime minister that they served. The conclusion of the volume is by Anthony Seldon and studies the role of the Principal Private Secretary. Warren Dockter (author of Winston Churchill and the Islamic World: Orientalism, Empire, and Diplomacy in the Middle East) writes the first chapter in the volume which is entitled, “Managing a Giant: Jack Colville and Winston Churchill.” Colville served the prime minister as Assistant Private Secretary (1940-41, 1943-45) and Joint Principal Private Secretary (1951-55). He later published his diaries as Fringes of Power along with other books and articles. Robin Prior studies the chapter on the Battle of the Somme in Winston Churchill’s World Crisis in his article “Churchill & the Battle of the Somme” published in Wartime: The Official Magazine of the Australian War Memorial. In writing about the 1916 British offensive, Churchill received the assistance of Sir James Edmonds, the British official historian. The chapter was, according to Prior, “a savage indictment of Haig and the High Command” and is “still well worth reading.” The article is available here. More myths, legends, and scandals surround the life, character, and career of Winston Churchill than most other important historical figures. These range from major controversies to minor oddities. Many of the myths are remarkably persistent and repeated as commonly accepted facts in new books on Churchill or appear in the media and newspapers as shocking new revelations, such as the relatively recent stories that Churchill supposedly considered converting to Islam as a young man. Richard Langworth in his new book Winston Churchill, Myth and Reality: What He Actually Did and Said considers 37 such Churchill myths. Langworth, who edited the Finest Hour for 35 years and is currently a Senior Fellow at Hillsdale College, is the author of Churchill by Himself : The Definitive Collection of Quotations. The myths Langworth surveys range from the parentage of Churchill’s brother Jack and the cause of Lord Randolph Churchill’s death to Churchill’s opposition to the Second Front and the bombing of Coventry. Each myth is covered in a separate chapter in which the author describes the charge made against Churchill, provides the background and context, and either refutes the charge or seeks to explain Churchill’s actions. In the case of the myth about Churchill’s poor performance as a schoolboy, Langworth correctly points out the myth originated with Churchill himself, while the author astutely calls the Sidney Street siege as “a typical piece of Churchillian chutzpah.” An appendix considers some of the “minor myths” associated with the British statesman. With so many myths and controversies surrounding Churchill there are ones which are not covered in the volume, including the accusations that Churchill acted dishonourably in his escape from the Boer prisoner of war camp or that he manipulated the press communiques after the Battle of Jutland. Likewise there is the more obscure myth put forward by United States Senator William Langton in 1949 that Churchill fought with Spain against the United States during the Spanish-American War of 1898. 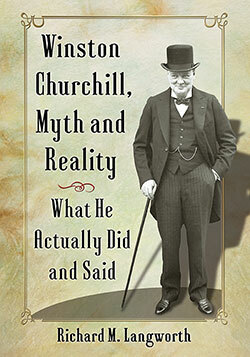 In Winston Churchill, Myth and Reality: What He Actually Did and Said Langworth provides a staunch defense of Churchill as he dismisses or puts into perspective the various myths. The book is an interesting, entertaining, and enjoyable effort that will be of interest to all Churchill readers. 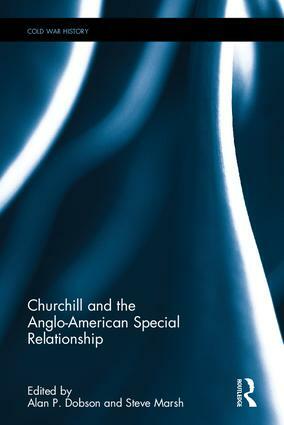 Churchill and the Anglo-American Special Relationship edited by Alan P. Dobson and Steve Marsh consists of nine essays on the British prime minister’s building and shaping of the relationship with the United States. The nine chapters in the volume, which is part of Routledge’s Cold War History series, are “Strategic Culture’ on the Road to (and from) Fulton: Institutionalism, Emotionalism, and the Anglo-American Special Relationship,” by David G. Haglund (Queen’s University); “Churchill’s Fulton Speech and the Context of Shared Values in a World of Dangers,” by Alan P. Dobson (Swansea University); “Manipulating the Anglo-American Civilizational Identity in the Era of Churchill,” by Robert M. Hendershot (Grand Rapids Community College); “The Fulton Address as Racial Discourse,” by Srjdan Vucetic (University of Ottawa); “Personal Diplomacy at the Summit,” by Steve Marsh (Cardiff University); “Churchill’s Ambassadors – from Fulton to Suez,” by Tony McCulloch (UCL Institute of the Americas); “Churchill’s inter-subjective special relationship: a corpus-assisted discourse approach,” by Anna Marchi (Bologna University), Nuria Lorenzo-Dus (Swansea University) and Steve Marsh; “The Architecture of a Myth: Constructing and Commemorating Churchill’s Special Relationship, c. 1919-69,” by Sam Edwards (Manchester Metropolitan University); and “Curtains, Culture and ‘Collective’ Memory,” by David Ryan (University College Cork). As the editors acknowledge that “it was in the war that the Anglo-American relationship became truly special” and Warren Kimball writes in the prologue that the special relationship “cannot be understood without a firm grounding in the alliance politics of the Second World War,” the volume would have benefited from the inclusion of an essay addressing aspects of the special relationship during the war. Churchill and the Anglo-American Special Relationship provides an insightful and original addition to the study of Winston Churchill.